A Simple Jew: Guest Posting By Rabbi Dovid Sears - Is Judaism A Religion Of Faith Or Reason? As usual, great post from Rabbi Sears. ASJ - I love your posts, but would love to see more from Rabbi Sears also. The question is not faith or Philosophy. The "Philosophy" in the days of the Rambam consisted of intellectual attempts to prove the existence of God from earthly observations and human imaginative speculations. (See Moreh Nevuchim). Today, we know how useless this effort is. On the other had "faith" in its simplistic meaning in the English language is actually a christian concept, not a Jewish one. Judaism is neither. 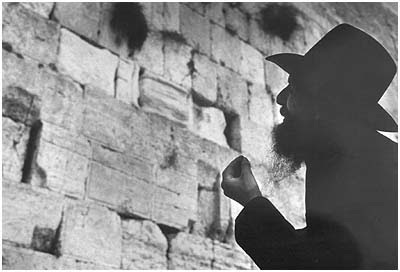 The Lubavitcher Rebbe says that for us, the key is Maamad Har Sinai. I know Judaism is true because my father, or my Rabbi, told me so. How does he know? His father told him so. And, how does he know? ...keep going up the chain until we get to 600000 men plus an equal number of women who personally saw and heard Hashem reveal himself on Har Sinai. For me, this is testimony given by more than a million people who all saw and experienced the same thing. Then, they passed it on to their children. In court, two witnesses are sufficient. 100 witnesses are so much better. Now imagine 1,000,000 witnesses. I don't need anything stronger than that. Um, no disrespect to the Lubavitcher Rebbe ZT"L, but that position dates back a couple thousand years before the Rebbe. And many "rationalist" Rishon (The Kuzari for example) make that statement as well. 1) History-- there was a debate in Jewish history between emunah al pi chakirah versus emunah peshutah. This is a fact which no one disputes. 2) Practically-- L'maseh, what should people do? The emunah chakirah/peshutah question has recently been discovered by bloggers, but is an age-old one. The answer is just as by halacha: follow your rav. In general, the charedi world(chassisim and litvish) has eschewed chakirah, and argues that historically, peshutah has worked. Generally speaking, therefore, a person should follow the group he belongs to: Breslov, Lubavitch, Ponovhich. 3) Presentation of the Issue- This depends on the audience, but it should be fair and balanced. For example, in R. Yisrael Reismann's article on Metzizah B'feh in the Jewish Observer, he noted that there is a fair/balanced way and unfair/imbalanced way to present the different sources. However, since the goal is to strengthen people's faith, the presentation depends on the audience. Emunah peshutah has been attacked on the internet. Some people benefit from just seeing sources that this is a Jewish concept and is favored by Gedolim. They do not need a full presentation. This is the "peshutah way" to present emunah peshutah. Others, such as myself, personally, favor a strong basis of emunah peshutah as well. However, I feel that when *presenting* the issue, it is only fair to cite the great rishonim on both sides, even if you conclude in favor of peshutah. That is intellectually rigorous and balanced in my opinion. Some Rishonim have made very strong statements requring *specifically* emunah al pi chakirah. I believe that in any intellectully rigorous discussion, such rishonim should be cited, with their strong language. The peshutah side of the argument is strong enough to withstand such quotes. Anyone who is exposed to the internet should be able to read the quotes with out losing his faith in the superiority of emunah peshutah(otherwise they don't belong on the internet!). When asking "Is Judaism a Religion of Faith or Reason", the emunah al pi chakirah statements should be cited with all their sharpness. I understand that there is an issue of space consideration, but I think that a fair and balanced discussion should not ignore those shittos and their strong expressions, even if one doesn't follow them l'maseh. B'mechilas kvodcha, most of this does not address the central point raised. Those rishonim who were rationalists used reason as a vehicle to arrive at faith. You cite tzadik b'emunaso yichyeh, but who told you that the tzadik's faith was arrived at mystically or through simple belief and not through rational chakirah? Most of the gemara proofs you cite suffer this same failing - they applaud faith, but have nothing to do with the question of how faith is arrived at. The issur of studying Greek wisdom is a halacha pesuka, but has nothing to do with studying secular philosophy according to many rishonim. Ascribing a rationalism-only position to misnagdim is not correct either. R' Chaim Brisker never opened a Moreh Nevuchim; the Nefesh haChaim is filled with as much mysticism as the greatest sifrei chassidus. Nefesh haChaim - is written as a substitute of Chasidus, and even quotes numerous Chasidic sources (without names though). A note on the subject of Greek philosophy. The Greek philosophy is an exercise in logical and semantic manipulations of physical observations and theories. It has a very strong basis in "imagination". This is why it is prohibited. It is not the philosophy that is prohibited, but the imagination component of it. We try to stay away from imaginative theories, albeit, not very successfully. The Gmara is full of imaginative theories about the physical world. The Rambam is very much in favor of Chakirah - investigative research. This is what science is all about. The knowledge we acquire through Chakirah becomes part of the Torah. A response to "Anonymous". The Lubavitcher Rebbe rarely said things of his own. Almost everything he said is based on earlier sources. He just followed the Rambam's style of not complicating his teachings with an endless list of sources. Faith is greater than reason, because faith is required for logic to work. Faith does not require logic for it to work: it just is. This is so, because in logic, one must accept premises before one can then use logic (deduction and such). And it's the acceptance of the premises that require nothing else but pure faith. These premises can't be proven. They are just assumed to be so. Much like "We hold these truths to be self-evident that all men are created equal". So, one asserts his faith first, which allows him to then apply reason/logic. Reason/logic is merely a process we apply to premises. Since nothing can come before G-d, then G-d is the ultimate premise, and everything is derived from him.